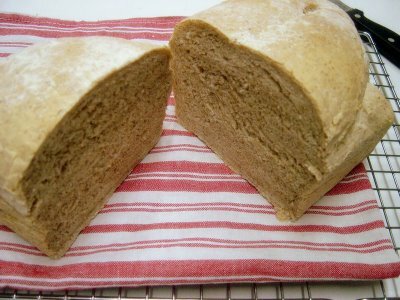 They say that there is nothing like baking your own bread. Nothing like the smell of it freshly baked, permeating your kitchen like a soft, stealthy blanket. Nothing like the ability it has to ease stress and calm your insides. Well, they say right. 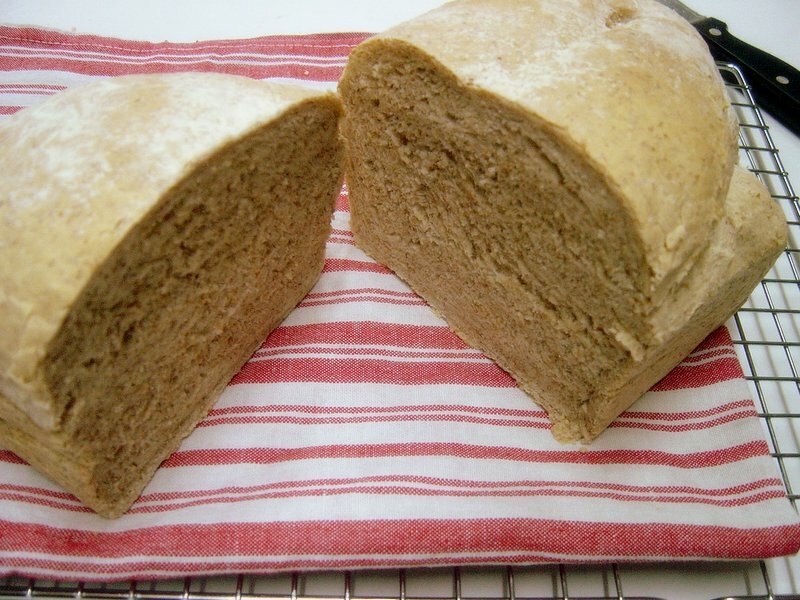 I have been putting off bread baking for a while…what with the yeasts, and risings, and proofings, and such. 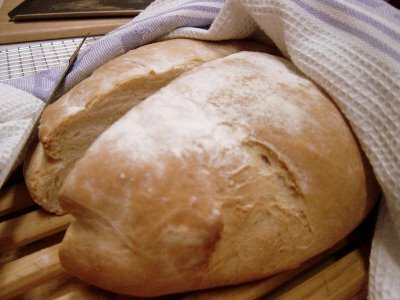 I was apprehensive…but also drawn to the very basic, almost primordial picture that bread baking was painting in my little noggin’: Me, flour dusting my arms, massaging a lump of dough into a piece of heavenly comfort. So I embarked on a project called, um, “No buying bread!” Ok, more like an experiment. I would see how long I could go eating nothing but my own bread. 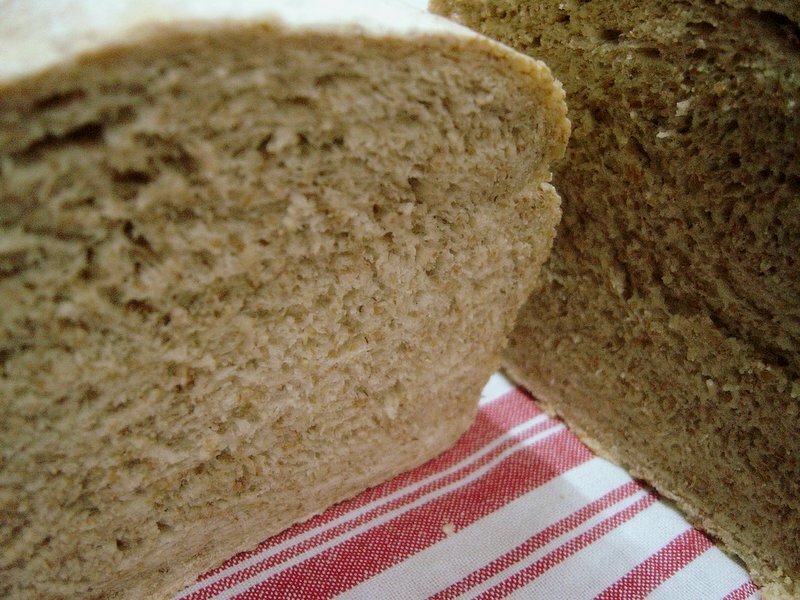 – Put the flour, yeast, and salt in a bowl then add 200 ml of the water. As you add the water mix with a wooden spoon (or your hand). Add more water until it becomes a “shaggy mess” (I love that phrase! There are times, after a completely satisfactory wild night out, that you return home feeling exactly that way? Like an absolutely brilliant shaggy mess?). Now add the butter and mix in. – Now start kneading (yey!) for at least 10 minutes. There may be a day, long into my bread future, when I may tire of pushing the heel of my hand into a mound of pliant dough over and over (thinking very deep thoughts), but until that day comes I won’t be using the dough hook. – Add flour as needed (if the dough seems too sticky). – When the dough is smooth and less sticky, form it into a ball and place it in a large oiled or buttered bowl, turning it once so the top is greased too. Cover loosely with cling film (or a tea towel) and leave to rise for an hour or so until doubled in bulk. You can also opt to give it a long cold rise in the fridge overnight. – Once doubled in size, punch it down (another fun part!) and knead for just a tiny moment. – Form the dough into what ever shape you want and place it on a baking sheet (or loaf tin) and once again cover loosely with cling film or a tea towel. Leave for 30 minutes or so until puffy again. – Remove towel and dust lightly with flour. Place in a 220C oven and bake for 35 minutes. – You know it’s ready when you rap on the underside and it sounds hollow.- When done, place on a rack and let it cool.